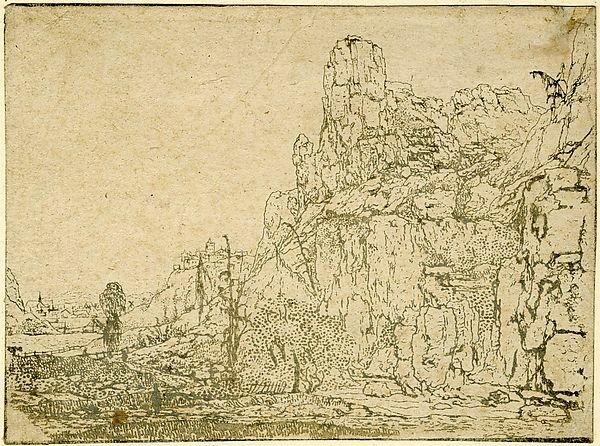 The great experimental printmaker Hercules Segers, one of the most fertile artistic minds of his time, created otherworldly landscapes of astonishing originality. 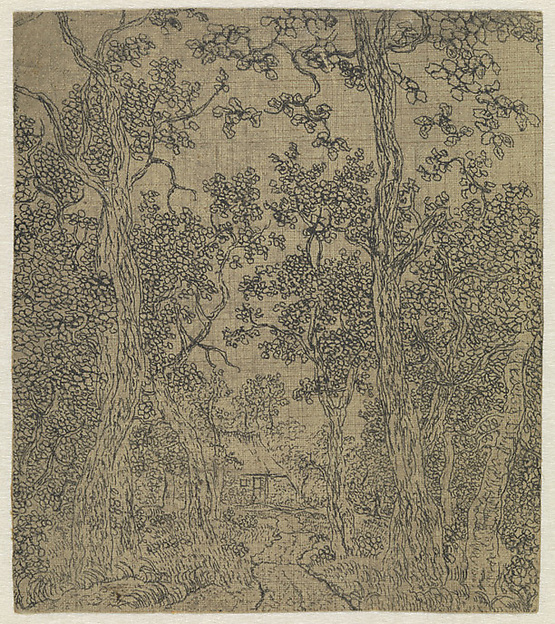 With a unique array of techniques whose identification still puzzles scholars, he etched extraordinary, colorful landscapes and still lifes. 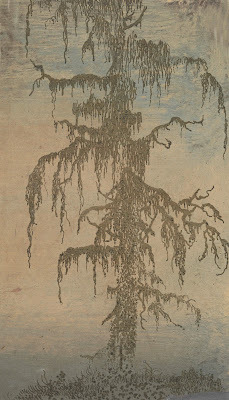 Rejecting the idea that prints from a single plate should all look the same in black and white, he produced impressions in varied color schemes—painting them, then adding lines or cutting down the plate. 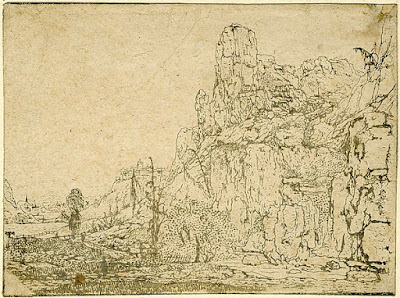 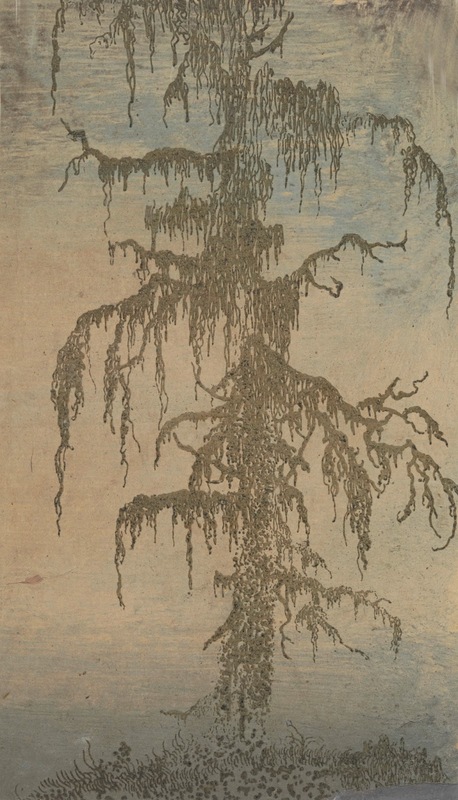 Segers turned each impression of his evocative landscapes into unique miniature paintings that seem out of their time. 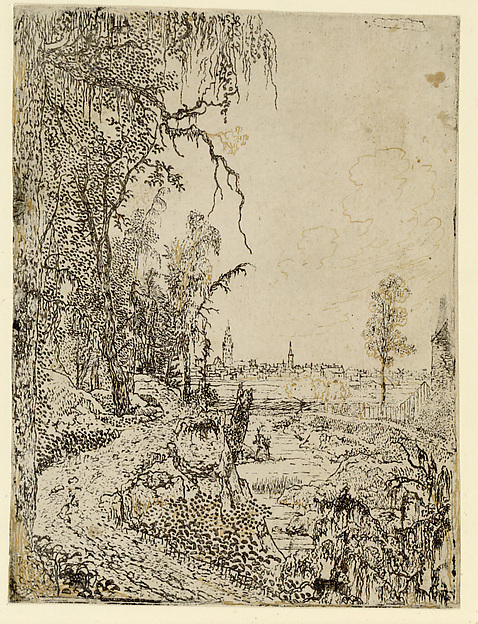 He was a favorite artist of Rembrandt, who owned eight paintings and one printing plate by Segers. 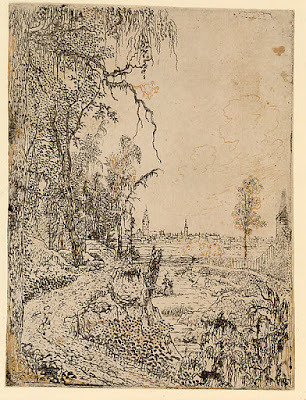 Road and City, c. 1622. 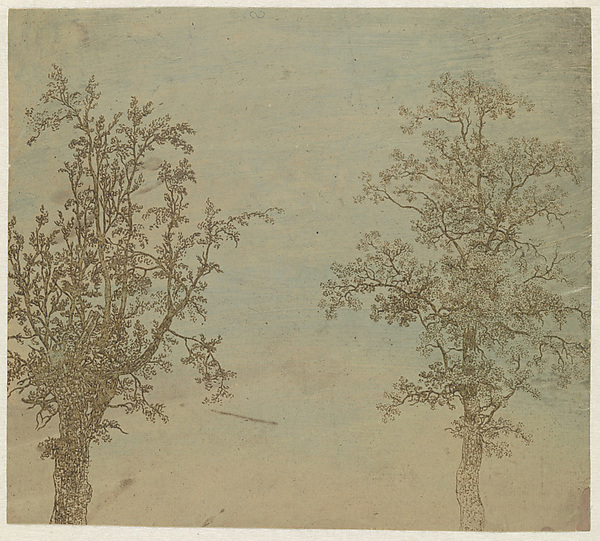 Alder and Ash, c. 1628. 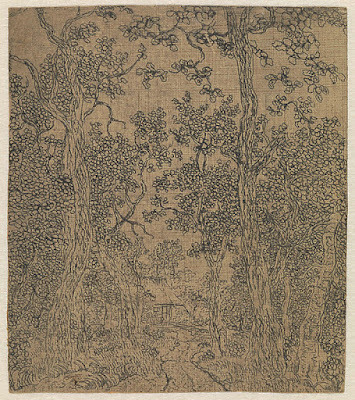 Wooded Landscape, c. 1620. 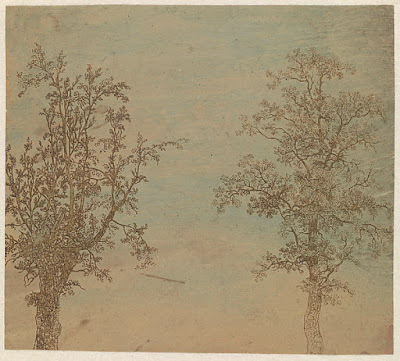 I certainly think these are interesting, and indeed they have a very distinctive style.